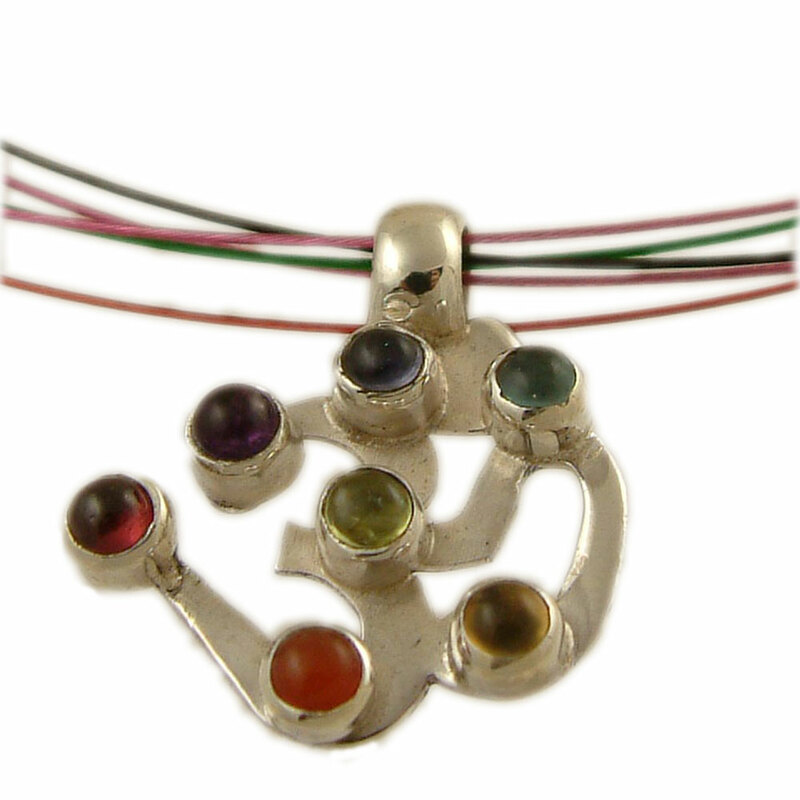 Chakras are energy crossroads, linking the physical body with the spiritual through an energy canal down the body. 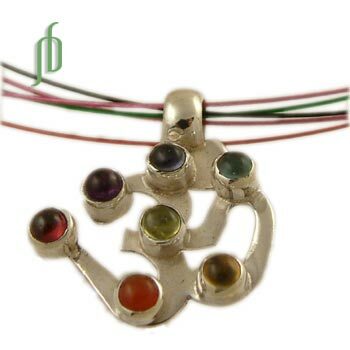 Each of the seven chakras has different properties and corresponds to a different mantra, color, stone and shape. Om means universal truth. Chakra earrings with the stones of the seven chakras: amethyst, iolite, apatite, peridot, citrine, carnelian and garnet. Made from sterling silver.